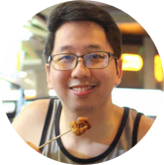 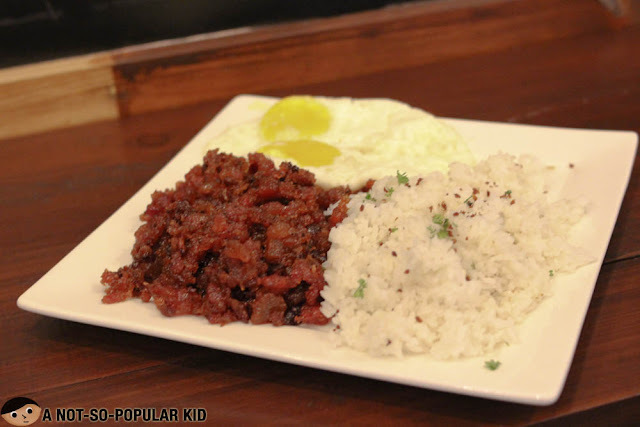 Just when I thought I already explored most of Makati's food gems, something came along that proved me wrong. 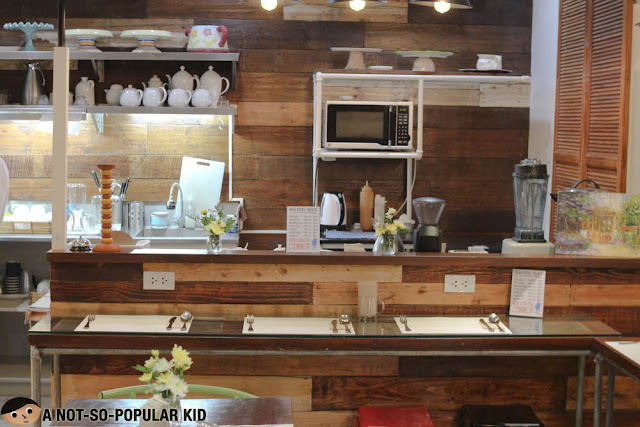 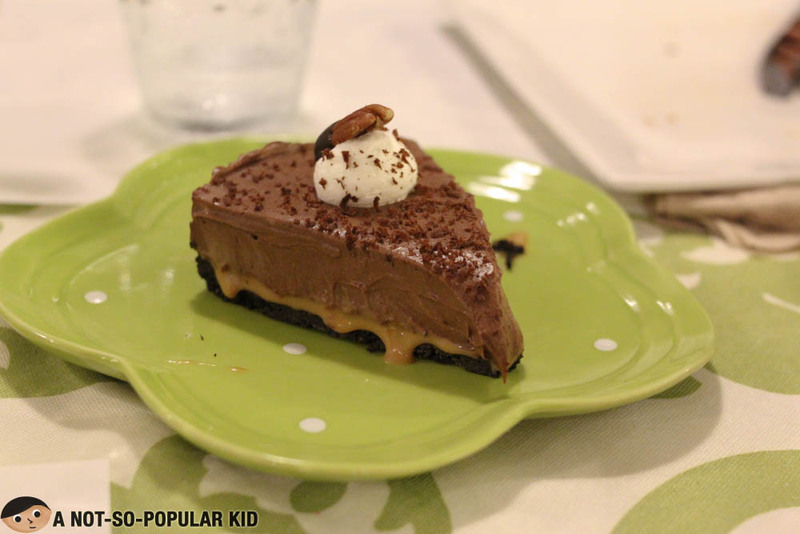 Possibly qualifying as a Hole-in-the-Wall (due to its's not-so-prominent location), Nikko's Baking Studio is a restaurant along Paseo de Roxas serving family treasured recipes passed on from generation to generation. 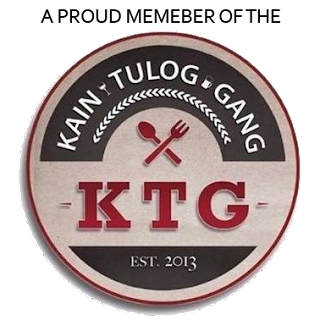 It's basically Filipino cuisine with a story. 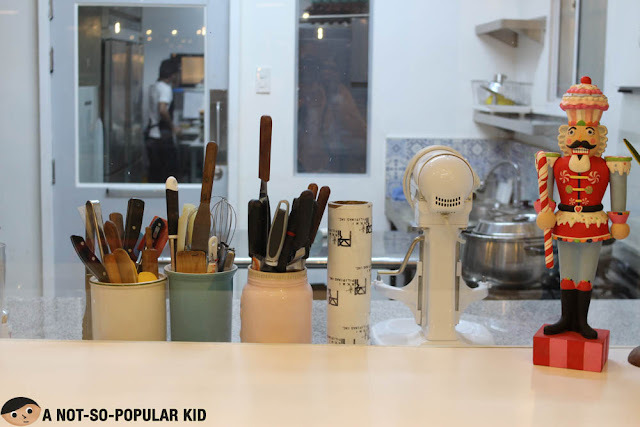 Each of the food here in Nikko's Baking Studio has a story, which of course revolves around Nikko, the owner, and her family. 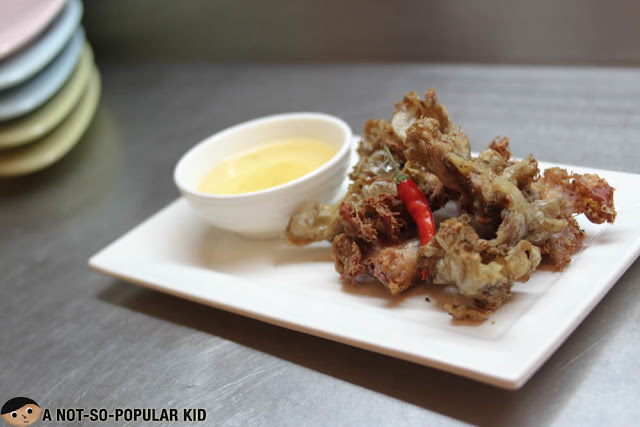 You'll get some snippets of these via the names of the dishes, and sometimes the food themselves. 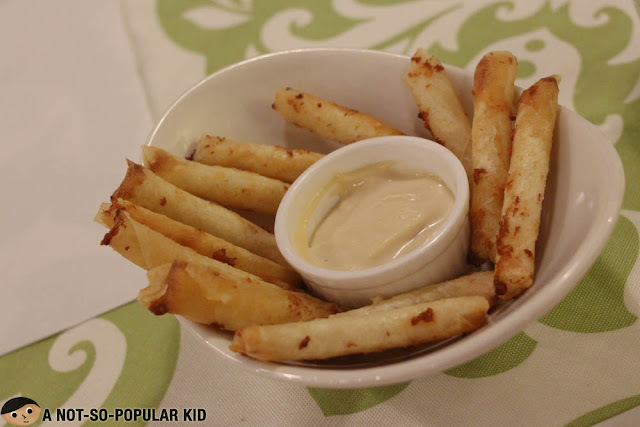 There is a wide range of starters to choose from such as the traditional cheese sticks and banana chips. Now, for those who can't get enough of pasta, there are a bunch for you to pick. 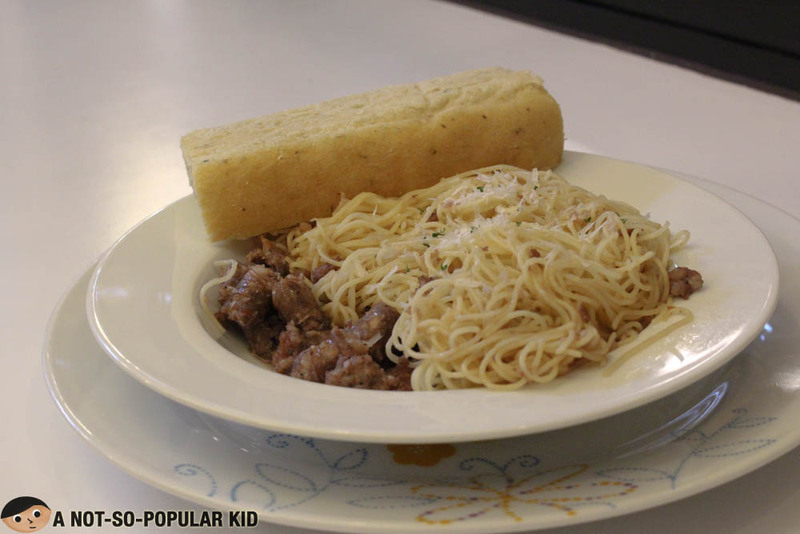 Below are just 2 out of 10 pasta dishes you can have. 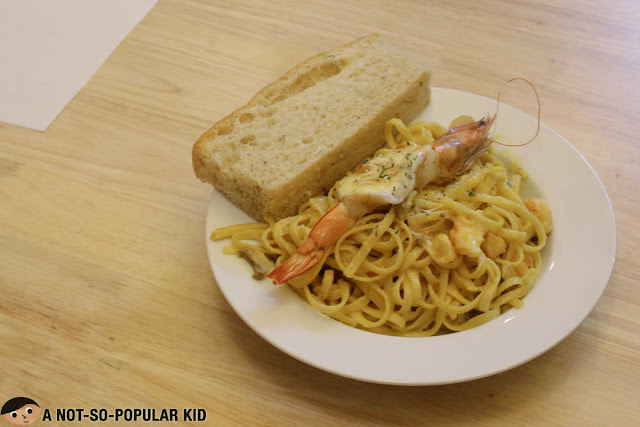 Shrimp Termidor (P320) is a bountiful dish oozing with seafood goodness. Interestingly, the original Shrimp Termidor recipe should come with a rice, but Nikko's tita ran out of it, so this came to life! 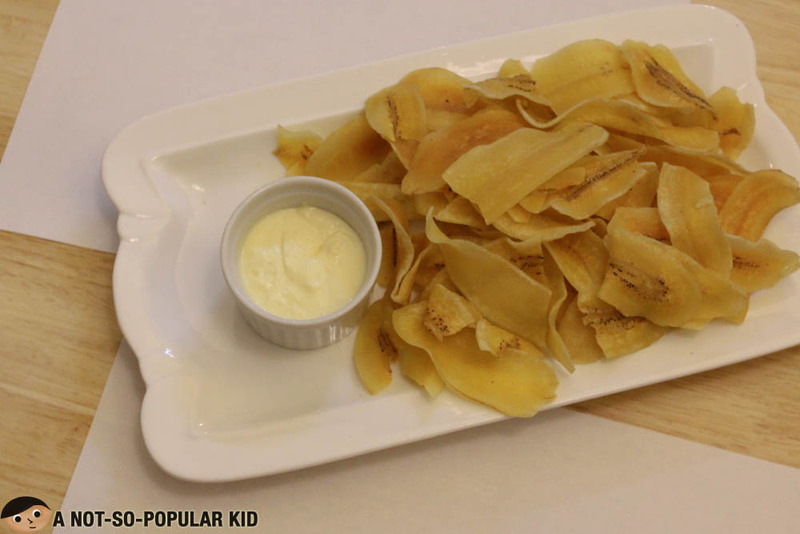 Okay, let's backtrack a little bit and check out these dishes perfect for either appetizer or merienda. 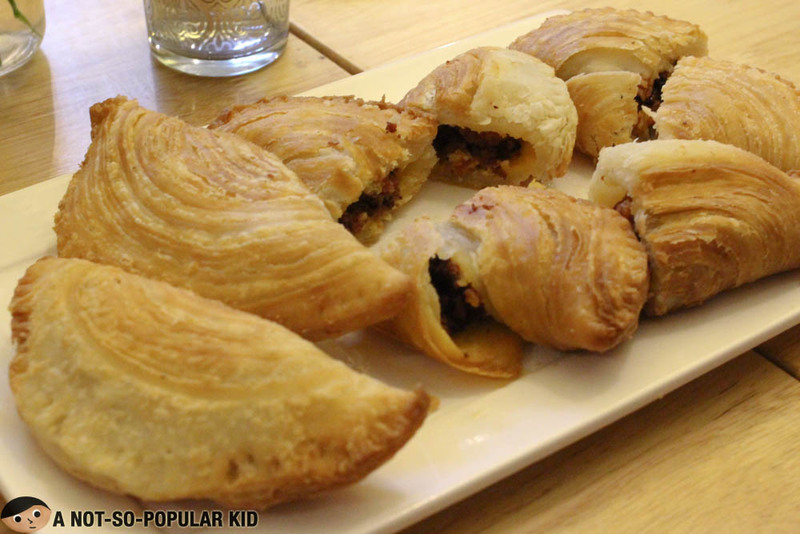 The next dish is a superstar, and it's possibly the best chorizon empanada in town! 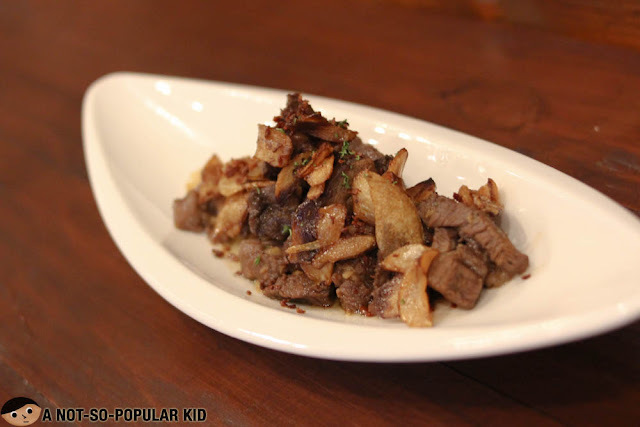 Nothing indeed beats our own, and the great news is Nikko makes 'em better, which is why you'll get a hefty serving of your Filipino favorites ranging here in the restaurant. 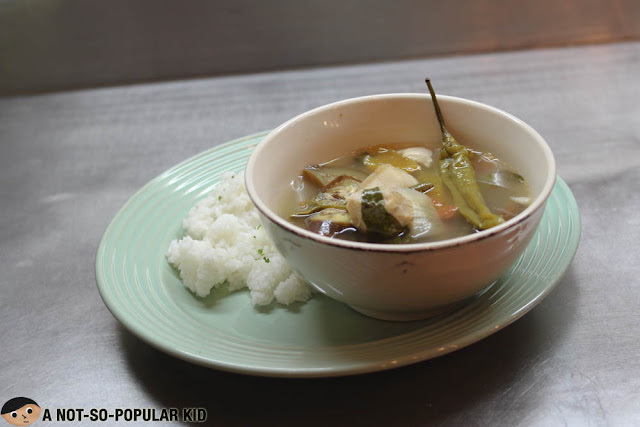 My Sinigang na Baboy (P280) is your traditional favorite, more asim = better! 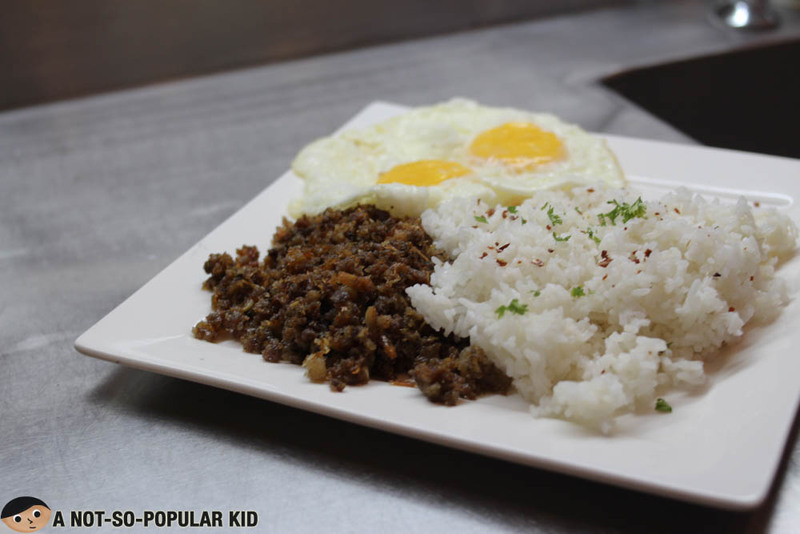 Trivia: Did you know that all the rice used here in Nikko's Baking Studio are locally sourced in Batangas. 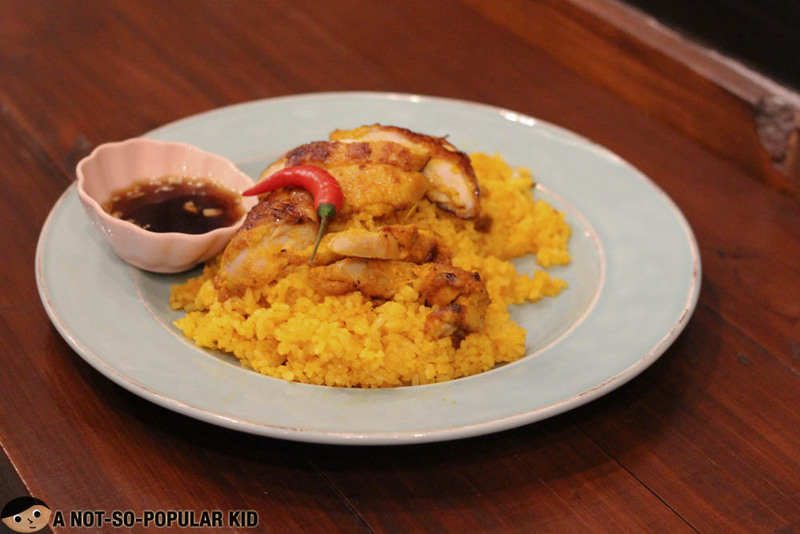 This will explain the richness of flavor and moisture in their rice. As hinted by its name, Nikko's Baking Studio indeed started out as a studio which holds baking classes, which is also why the core of it all was, uhm, baking. 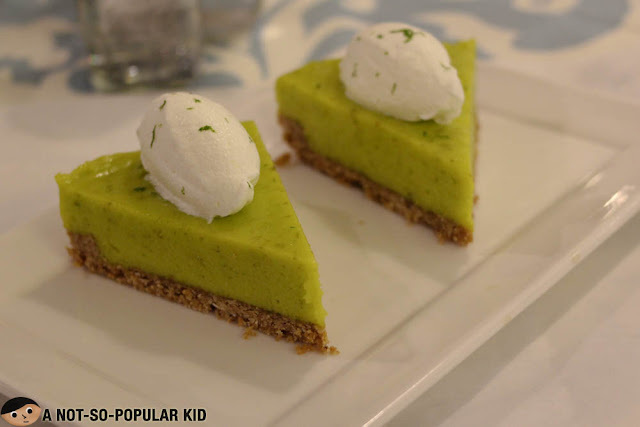 This is also the reason why the desserts here all classic golds! 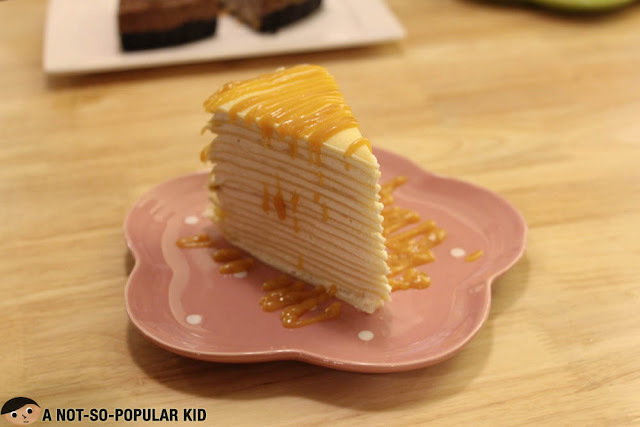 The Vanilla Crepe Cake is perfect for those who like it mildly sweet. Don't be deceived by how it looks, yes, it's not that sweet. 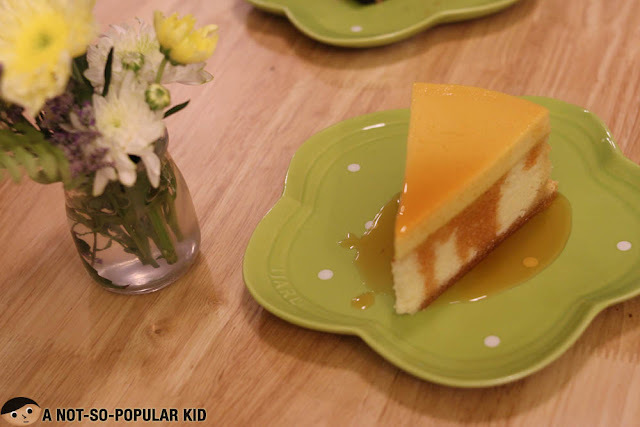 The Leche Flan cake is creamy on top and fluffy thereafter. 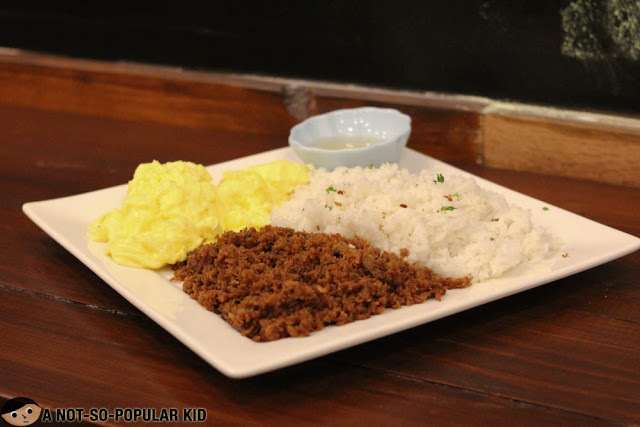 If you are looking for Filipino comfort food that are very direct to the point, Nikko's Baking Studio is surely a good place for you to wash away all the accumulated stress. 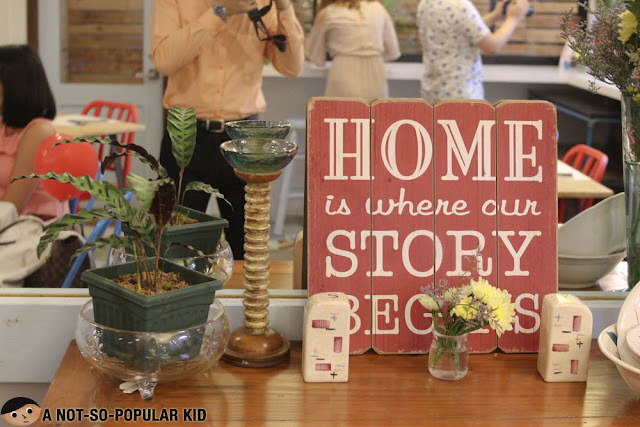 Match this up with homey interior, and you'll surely feel all recharged once again. Finally, once you go for the desserts your foodie experience will be complete!